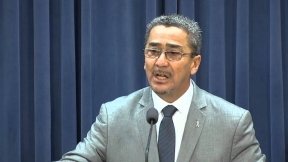 If it wasn’t for the help of State Senator Michael Noland (D-Elgin), Majority Caucus Whip Iris Y. Martinez (D-Chicago) and State Senator William Delgado (D-Chicago), the doors at a substance abuse treatment center serving primarily Hispanics would be closing. Martinez and Noland were at the Latino Treatment Center’s (LTC) Elgin facility recently to announce that the state has released more than $59,000 dollars held up in the budget impasse that will allow the agency to keep operating. Prior to state dollars being released, the agency was about to close and had cut salaries and exhausted cash reserves to maintain services to its 160 clients. 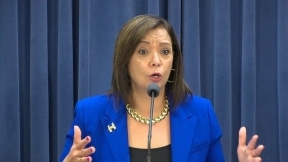 The state began working on getting the dollars released after Delgado, Noland, Martinez and LTC Executive Director Adriana Trino participated in a press conference regarding the agency’s dire fiscal situation. The Rauner administration also cut the agency’s budget by more than $60,000 in August. LTC has bilingual staff and evaluates and serves those in the Hispanic community by conducting evaluations for alcohol and drugs in either Spanish or English. Its staff specializes in outpatient treatment for substance abuse, treatment for families, individual and group counseling and adolescent treatment. LTC assists people in Cook, DuPage and Kane counties.